Cranbrook Art Museum presents the U.S. debut of this career retrospective of Alexander Girard (1907–1993), one of the most influential designers of the twentieth century. Girard worked across the fields of architecture, interior design, textiles, and graphics to create stunning environments that greatly enriched the visual language of mid-century modernism. Girard returned color, texture, decoration, the handmade and even opulence to classic modernism, making him an important touchstone for today’s artists and designers. 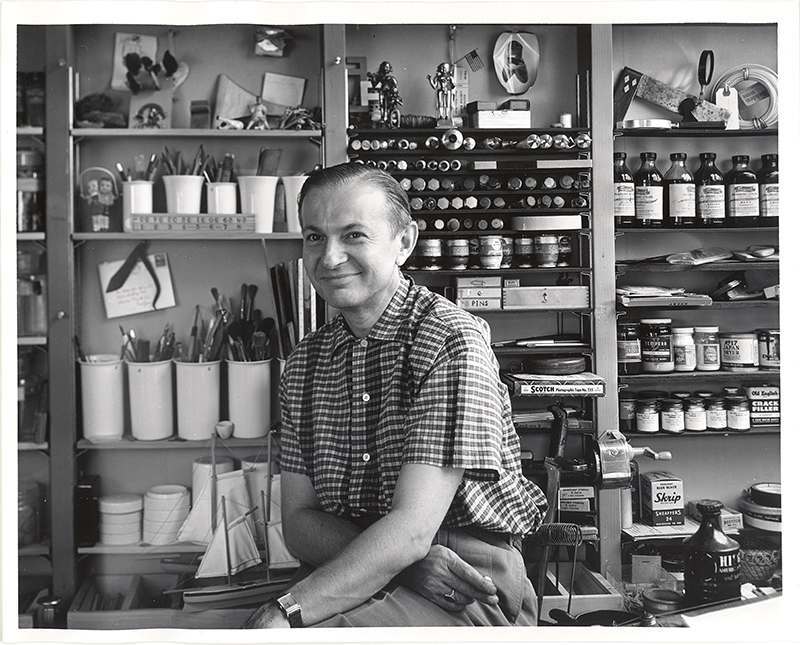 After to moving to Michigan in 1937, Girard established a design office and retail space in Grosse Pointe. Although he relocated to New Mexico in 1953, Girard kept his ties to Michigan as head the textile and fabric division of Herman Miller, headquartered in Zeeland, Michigan—a major purveyor of modern design worldwide. He collaborated with many designers and architects such as Charles and Ray Eames, Eero Saarinen, and George Nelson, among others. This landmark exhibition presents hundreds of examples of Girard’s work, including furniture, textiles, graphics, architecture, and sculptures, as well as drawings and collages never shown before. In addition, the show presents hundreds of folk art objects that he collected from all over the world and from which he drew inspiration. This exhibition is organized by the Vitra Design Museum, Weil am Rhein, Germany. The global sponsors for the exhibition are Herman Miller and Maharam.